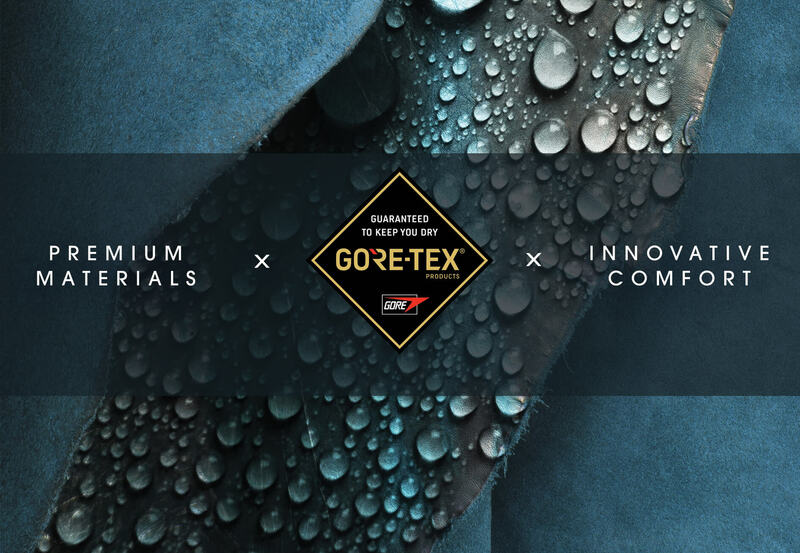 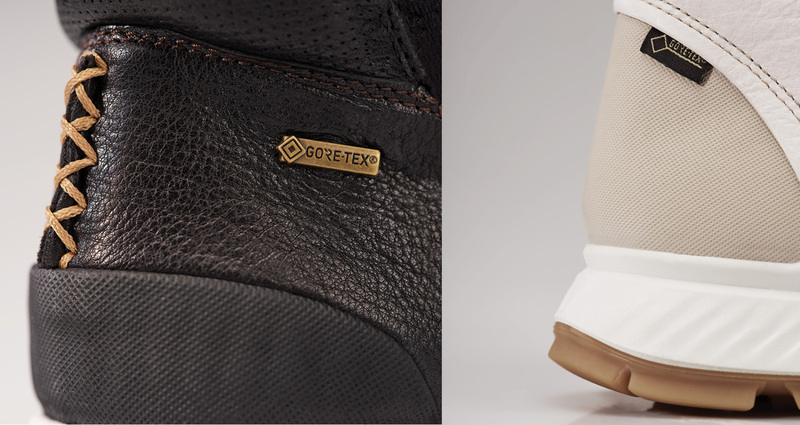 WITH GORE-TEX® TECHNOLOGY THE SHOE BECOMES 100% WATERPROOF AND WINDPROOF. 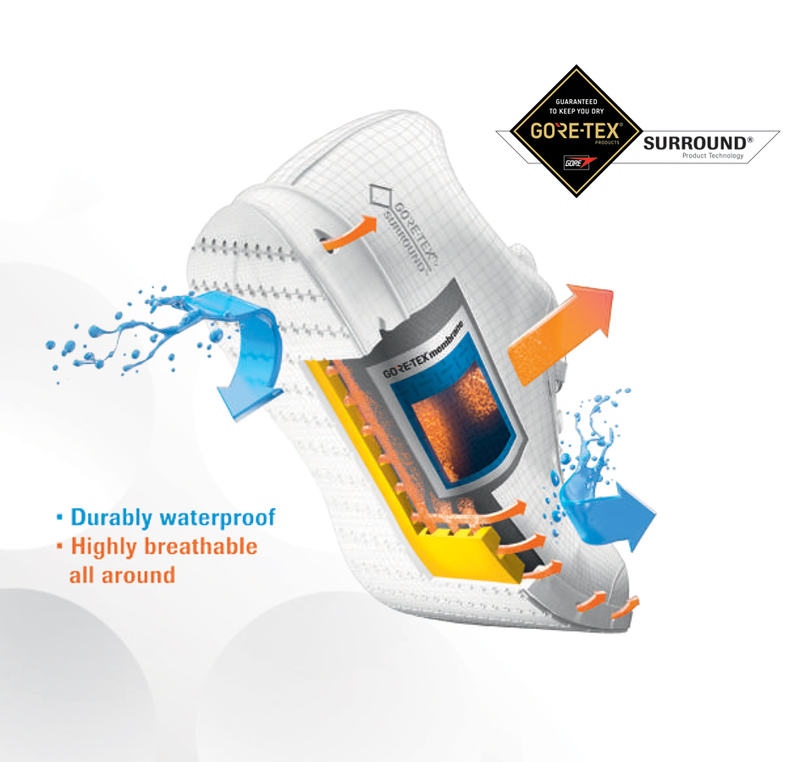 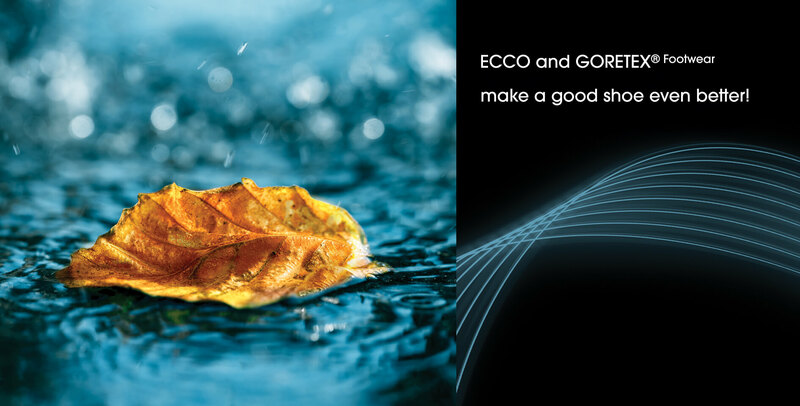 BY INTEGRATING AN EXTREMELY THIN AND VENTILATED MEMBRANE, WE PREVENT MOISTURE FROM PENETRATING THE SHOE, WHILE STILL ALLOWING THE FOOT’S NATURAL MOISTURE TO ESCAPE. 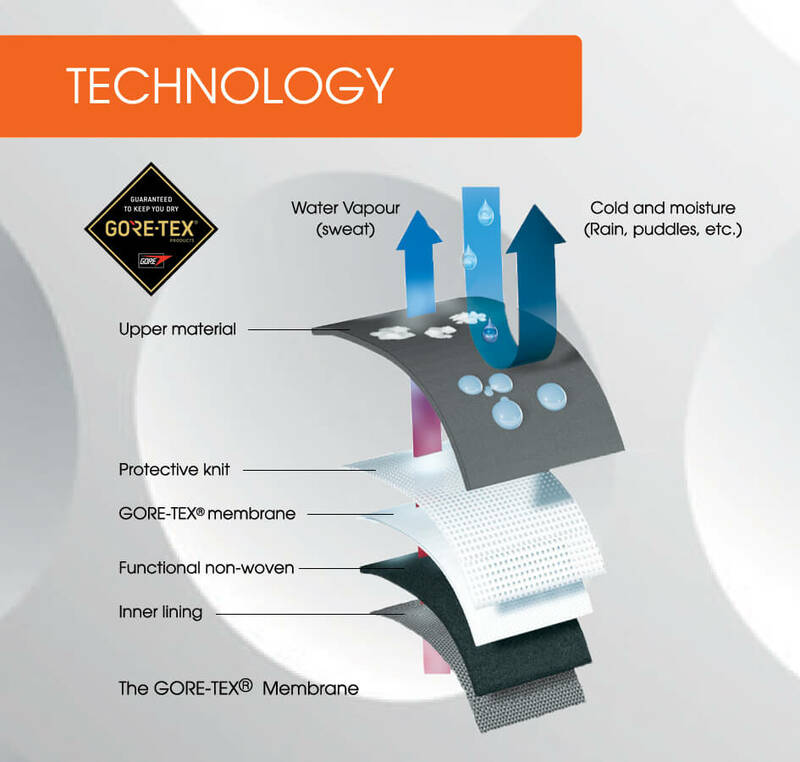 THE MEMBRANE IS ATTACHED TO BOTH THE OUTER AND INNER LINING MATERIAL, SO THE VARIOUS LAYERS ARE NOT ABLE TO MOVE APART.